Park Hours are from 4:00 AM to 10:30 PM. Check-in time is at 3:00 PM on your day of arrival. Check-out time is at 1:00 PM on your day of departure. The Squaw Creek Campground is open April 15th thru October 15th annually (weather, ground or river conditions may expand or contract these dates). By your agreement with these terms and conditions, you represent that you are 18 years or older (21 years of age if beer or wine will be available at your campsite) and that you are authorized to make the reservation on behalf of the camping party you have listed. You further agree to assume full responsibility for the acts, negligence or omissions of the members of your group while utilizing said facilities. You are reserving a facility in a Linn County park. ALL COUNTY PARK RULES AND STATE LAWS ARE ENFORCED. Contact the Park Ranger listed on your reservation confirmation email if you have any questions about park rules, policies or special requests. Failure to clean up the facility or surrounding area as outlined, or failure to comply with park rules or state laws may result in enforcement action. Linn County Conservation may take any legal action necessary to recover damages to county property. A camping unit is required. A camping unit is defined as a tent, trailer or motor vehicle specifically designed for such use as a temporary residence in a campground. Upon arrival, set up your camping unit on the reserved site and post your camping receipt on the provided site marker (once a camping unit is established on the site, the type of camping unit cannot change. If you place a tent, you must camp in a tent). Confirm your arrival by submitting a self-registration envelope with the name/address and reservation confirmation number. (See the registration station located in the campground for additional information). A full list of Rules & Regulations is listed on each registration station. Please contact a Park Ranger for questions regarding Rules & Regulations. You are required to clean up the campsite and surrounding area – returning- them to the condition you received them. Plan to have your campsite cleaned and people departed prior to the scheduled checkout time of 1:00 PM. All visitors (other than registered overnight campers) must depart the area by park closing time. Linn County is a smoke-free environment. Smoking is prohibited in all buildings. It shall be unlawful to park any licensed vehicle (excluding boat trailers) outside the surfaced parking area designated at each campsite. If parking is not available on the camping pad, vehicle(s) must park in designated parking areas. All driving shall be confined to designated roadways. Only beer with an alcohol content of 5% or less by weight and wine with an alcohol content of 17% or less by weight may be consumed in county parks. Drinking of these beverages is not permitted on roads or in parking areas. Hard liquor and wine with alcohol content in excess of 17% by weight or other alcoholic liquors are NOT to be consumed in county campgrounds. It shall be unlawful to operate or use any radio, television, stereo, musical instrument, electric generating plants, power saws, or any similar equipment in or on any area in such a manner as to create excessive noise and/or disturb other persons. Said equipment shall under no circumstance be used between the hours of 9:00 PM and 9:00 AM. All campers shall maintain quiet and avoid excessive noise in the campgrounds between the hours of 10:30 PM and 6:00 AM. “Noise” is defined as any loud, confused or senseless shouting or outcry; a sound lacking in agreeable musical quality or which is noticeably unpleasant. Linn County Parks observe a “Carry In – Carry Out” refuse policy. However, a limited amount of refuse will be removed by park staff in conjunction with your campsite reservation. All refuse must be placed in the centralized dumpster containers provided. “BUY LOCAL, BURN LOCAL.” Certified safe firewood is available for purchase in this campground. Should you find it necessary to transport any firewood that was purchased in a Linn County Park, please obtain a FIREWOOD CERTIFICATION CARD available at the point of sale. No out of county firewood is allowed. Pets are allowed, but must be on a leash and are PROHIBITED in all buildings. Pets must be cleaned up after at all times. Pets shall not be left unattended outside the camping unit. Park Officers have the right to remove any pets from the campground should problems arise. Certain activities or items require that you request and obtain special permission from the Park Ranger in advance of your event. These include (but are not limited) to the following: horses (or horse activities), erection of special tents, inflatable play equipment, hog roasts, fireworks, carnival-type activities, etc. Please contact the Park Ranger for additional information. In order to make any modification to an existing reservation, the request must be two weeks prior to the original date. If the request is a date change, the new date must be within 6 months of the existing date. 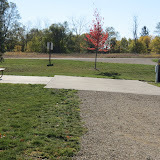 A date change must be used for the same type of facility in a Linn County Park. All reservation modifications must be made by calling the Conservation Office at (319) 892-6450. Any modifications to an existing reservation will be assessed a $25 administrative fee. Please consider this policy prior to purchasing your facility reservation. SHOULD YOU CHOOSE TO CANCEL A RESERVATION, YOU WILL FORFEIT 100% OF ALL RESERVATION FEES PAID. ALL cancellations or requests for refunds cannot be done online and must be made by calling the Conservation Office at (319) 892-6450. Any modifications to an existing reservation will be assessed a $25 administrative fee. Please understand at the time of booking your reservation that you immediately prohibit other people from reserving & utilizing that facility - they therefore go elsewhere to locate a facility for that date. However, if you need to cancel your reservation you have one opportunity to reschedule within that calendar year with no guarantees. Any modifications to an existing reservation will be assessed a $25 administrative fee. ALL requests for refunds cannot be done online and must be made by calling the Conservation Office at ​319-892-6450.